Eric Wilson is an experienced Portland, Oregon, labor and employment law attorney who fights to secure justice for Oregon employees wronged by their employers. Eric and his team at Oregon Employment Law are committed to obtaining prompt and just results for Oregon employees while keeping them informed of their rights and options throughout the entire legal process. 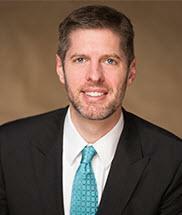 Eric has more than a decade of experience in Oregon labor and employment law matters. Eric has successfully represented hundreds of Oregon employees and helped recover millions of dollars on their behalf as compensation for lost wages and emotional distress damages. Eric's goal is to ensure that his clients feel empowered by the legal process and validated for having the courage to call a lawyer to enforce their workplace rights. Whether you have been the victim of workplace discrimination, harassment, retaliation or wrongful termination, Eric and his team at Oregon Employment Law will work diligently to prosecute your legal claims and hold accountable those most responsible for the unlawful conduct you experienced. Eric will also help ensure that you are able to begin the transition to your next employment opportunity. Eric prides himself on providing clients with clear expectations, keeping them informed throughout the representation and discussing the various options and decisions that may present themselves. He offers free initial consultations and works on a contingency fee basis, which means you will not owe any money for legal services unless and until he recovers compensation on your behalf.